Some groups meet in various other places. It is essential that before you attend a group, you contact the convenor for further information. Some groups, for example, may be full and will not be able to accommodate you. You may also want to know a little more about what their meetings cover, and whether or not you will be able to access their meeting places. Convenors will be able to respond to most of your questions and concerns. 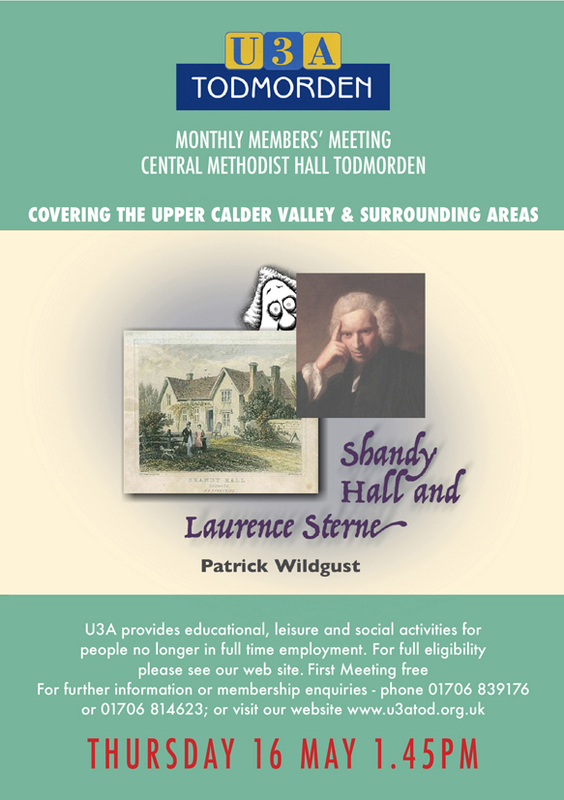 Membership of U3A Todmorden is £15 a year and must be paid before you become a regular member of a group. Moreover, some groups have to make charges for room hire or for equipment. Please check with a group convenor before finding yourself inconvenienced. 2nd and 4th Thursdays, every month. 2.00 – 4.00pm, TCRC room. Every 2nd and 4th Monday of the month, 1.00 – 3.00 pm, Fielden Centre upstairs room. Convenor: Linda Cook. Phone 01706 817254; or email- lindcook@talktalk.net. Regular outings, usually by coach. Wednesdays 2.30 – 4.30pm at Hare and Hounds . Todmorden. Stubbing Wharf at 1 pm to 4:30, monthly on 2nd Tuesday of the month. 1st and 3rd Mondays of the month, 1.00 – 2.30, ring for venue information. Roger Howard; 01706 815166; jroger.howard@btinternet.com. Fridays in the upstairs room at the Fielden Centre. Please contact Roger for the next tasting in good time, so he can make sure there is enough wine for everyone.